Power banks are nothing new. A quick search for ‘power bank’ on Amazon returns 400 pages of results. However, one thing that no other power bank (at least to my knowledge) offers, is a graphene based battery cell. 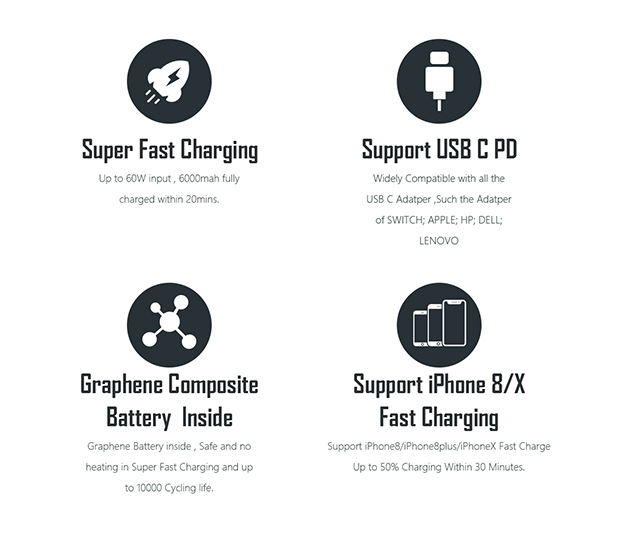 A new project on Kickstarter claims to be the first graphene based power bank, and boasts of some pretty impressive features. First and foremost, the charging speed. Regular Lithium-ion power banks take quite a long time to charge, depending on their charge capacity. The Mi 5200 mAh power bank I have at home takes around 4 hours to charge. 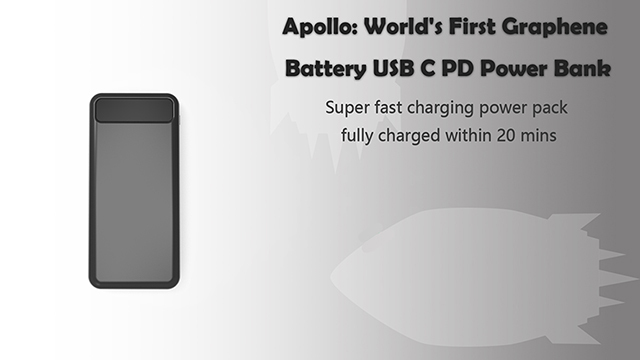 However, if the Kickstarter page for the ‘Apollo’ power bank is to be believed, the 6,000mAh power bank fully charges in just under 20 minutes, when charged with a 60W charger (such as the ones found with the new MacBook Pros). The power bank comes with the standard USB Type-C port for both input and output, along with two standard USB-A ports; one of which supports Quick Charge 3.0, and USB Power Delivery for fast charging compatible smartphones such as the Pixel 2. Since the power bank has a USB Type-C port built in, it is directly compatible with charging cables for most modern devices, including the Nintendo Switch, the new Apple MacBook Pros, and high-end laptops from Windows OEMs like Dell, HP and Asus. Elecjet, the company behind the Kickstarter project, claims that since the cell is made from graphene, it doesn’t suffer from the issues that Lithium ion batteries suffer from, including over-heating — something that makes the ‘Apollo’ more safe than other power banks out in the market. The Kickstarter project for the power bank has far surpassed its $10,000 goal, with almost a month to spare. If you’re interested in the power bank, the Kickstarter special pricing starts from $59. However, keep in mind that Kickstarter projects don’t always work out, and there have been a lot of Kickstarter projects that were actually scams, so if you do decide on investing your money in a graphene-based power bank that may or may not come to the market, do it at your own risk. Elecjet has currently set an estimated delivery date for March 2018.